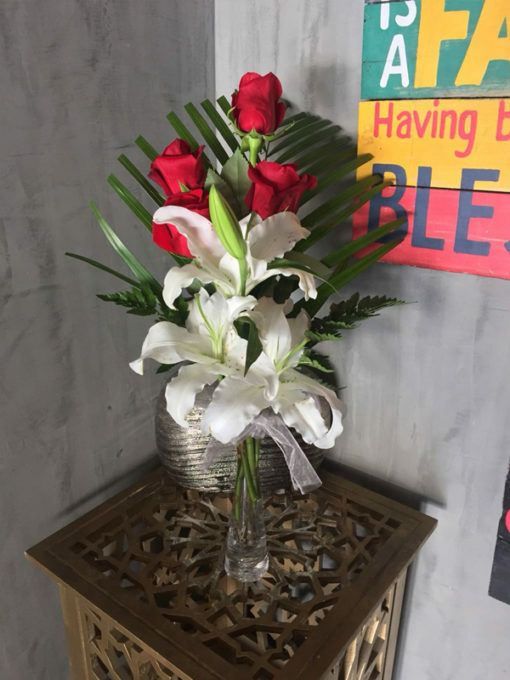 This bouquet is the perfect, balanced match between intense red roses and innocent white lilies. It’s a standout among red rose bouquets. Purchase this product now and earn 16 Vintage Rewards!